The last of our beautiful leaves – the trees are naked now and everything is white. I need updated photos. 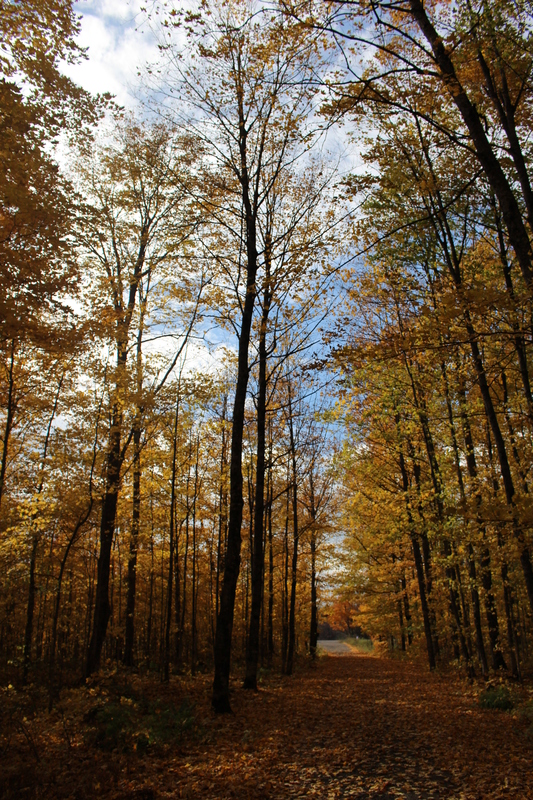 November in Upper Michigan arrives with a fierce and energetic gust. The color has already been torn from the trees, so November gales stir up Lake Superior and remind us that whether you are Finnish or not – Yoopers have sisu. It is one of the reasons that we live here. Surviving a UP winter gives one stamina and a keen sense of perseverance. When traveling, our snow totals give us bragging rights and the wild beauty keeps us stimulated and inspired during long tedious months of frigid weather. During November, social media, advertisements, and news outlets remind us that we should be thankful. Therefore, we tick off our blessings: health, family, friends, careers, pets, and all the stable factors in our lives. While I try to be thankful year round, November naturally makes me focus on the abundance I have been given. With my husband and I both possessing demanding jobs, both kids in hockey, and everyday household chores that include farm duties – simplifying our meals is essential. It is my obsession to make sure that our nutritional needs are met and that the majority of our meals are homemade. Therefore, in the coming months a variety of hot and nourishing soups will be a mainstay in our kitchen. 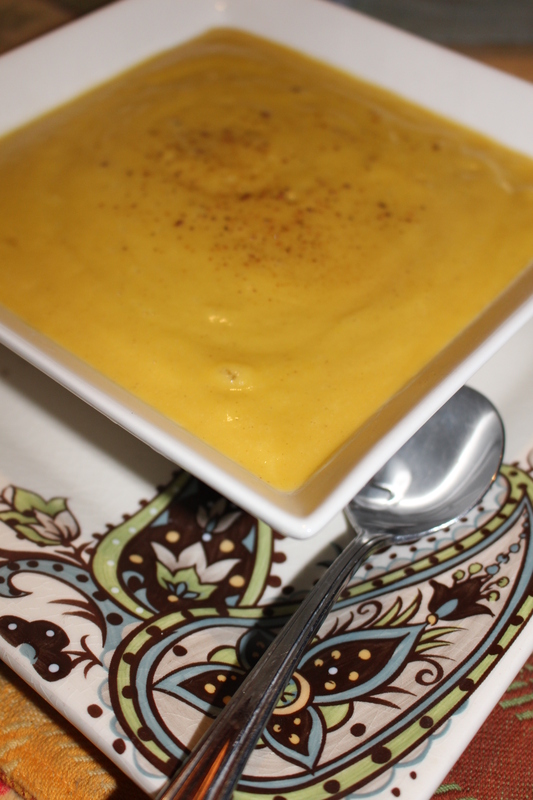 This recipe for butternut squash soup is simple, satisfying, and healthy. The texture is velvety and so smooth you will not believe that it does not contain cream. *Optional – sweetener to taste (maple syrup or brown sugar). I like the soup without sweetener but my husband likes it sweet. 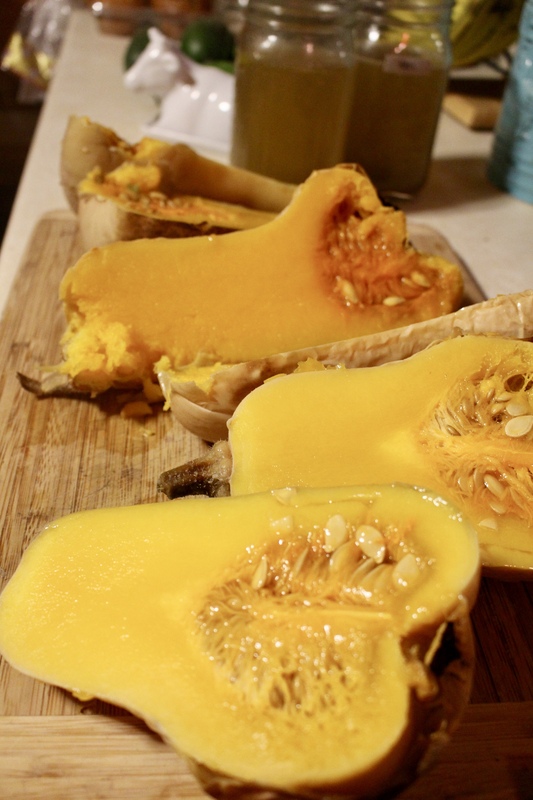 Roast squash for 30-45 minutes at 400-450 degrees. 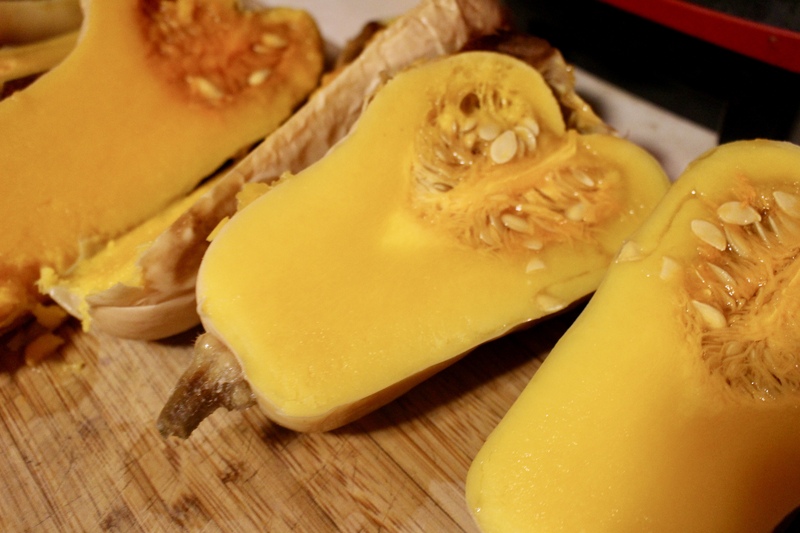 Peel squash and remove seeds. Sauté onion, garlic, celery, and ginger until soft. 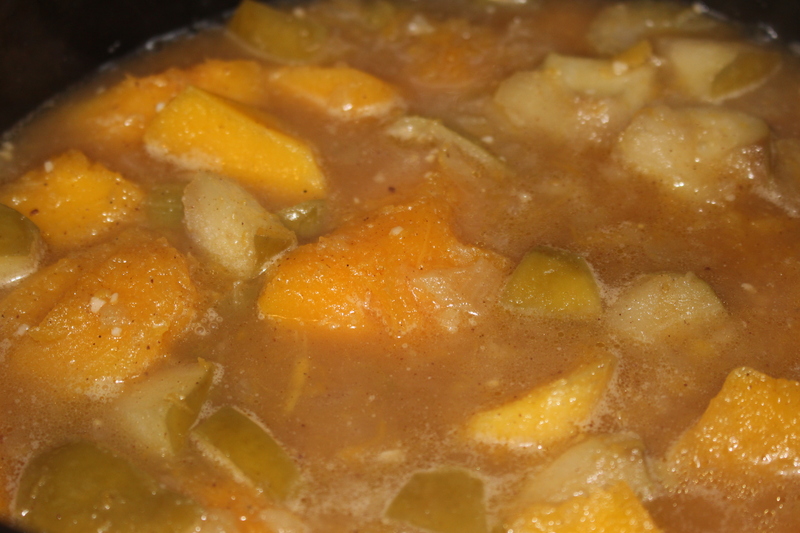 Add the stock along with apples and squash. Add cinnamon, nutmeg, salt, and pepper and simmer for 30 minutes. Allow to cool a bit and puree in blender. Serve with a dash of cinnamon on top and/or a sprinkling of walnuts, pecans, or croutons. 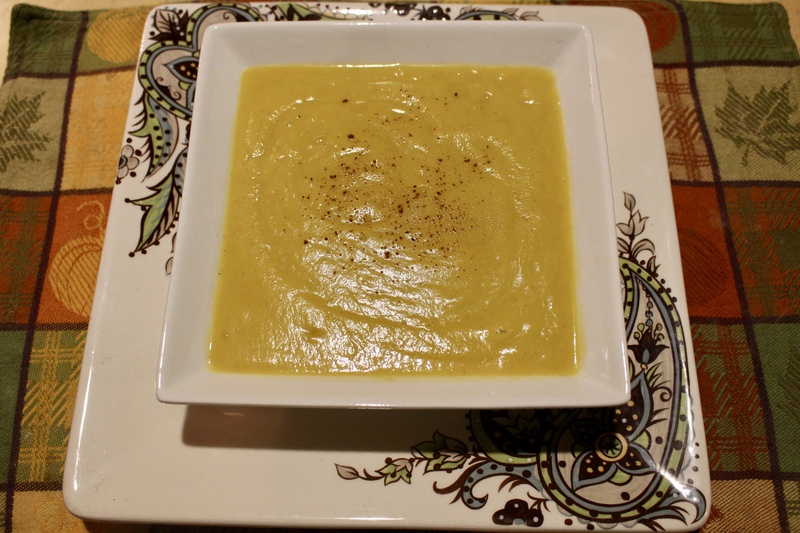 This soup freezes well and is a wonderful way to round out a meal. Add a simple salad and it is a great lunch and it is elegant enough to serve to guests. Make sure you check out my other soup recipes. Thank you for reading my blog. As I reflect over the things that I am thankful for, you are part of that list. I love being able to encourage others to enjoy cooking and share my healthy recipes. May your November be full of warmth and laughter around your kitchen table. Our driveway looks so magical in the fall. 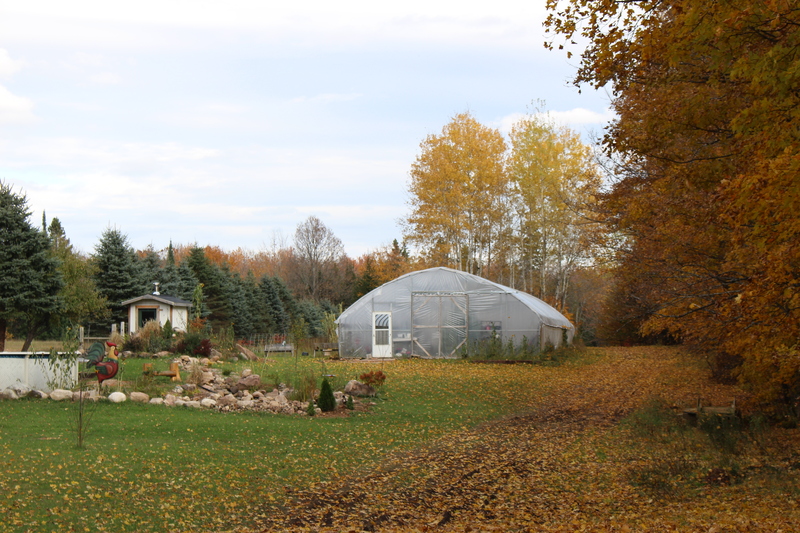 John had to plow this weekend – which doesn’t make it look quite as pretty!